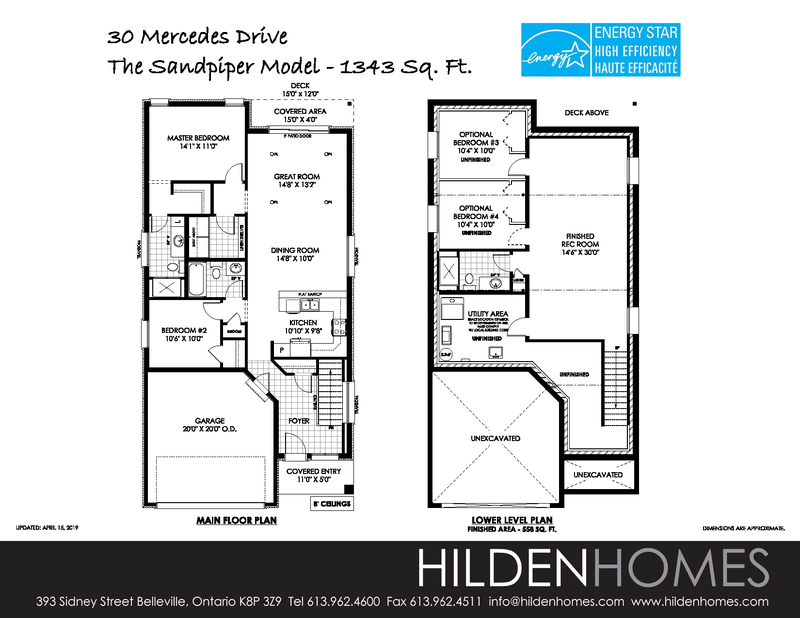 The Sandpiper Model is a narrow bungalow style home. 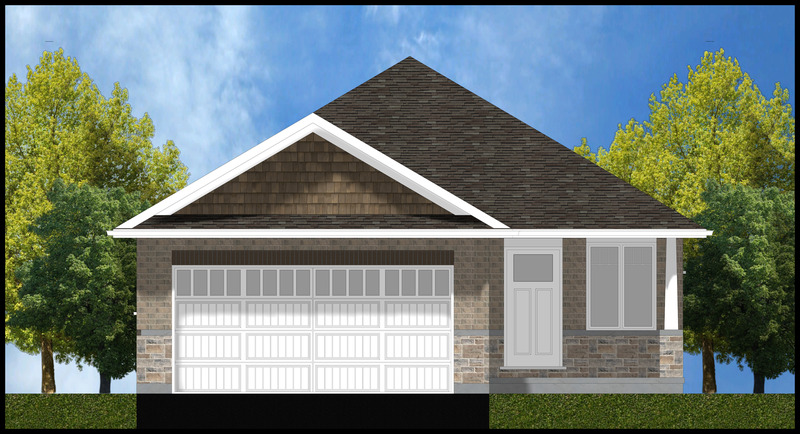 The house has a charming front porch which opens into an overly spacious entry foyer, made to feel even larger with an open stairway arranged to one side. The foyer is completely separate from the rest of the house, creating a sense of privacy when people knock on the door. The angled walls create a natural flow around the corner and into the main living space, and offers space for an unobtrusive access to the garage. The kitchen is U-shaped with a large peninsula with a flat bartop, providing ample countertop space. The dining area is as wide as the great room, offering an opportunity for many furniture layouts. A grand patio door off of the great room leads to a partially covered rear deck. This home not only has a sizable second bedroom and main bathroom, but it features a main floor laundry also. The spacious master bedroom also encompasses a walk-in closet and a private ensuite. A large lower level rec room and a bathroom will be finished, while the rest remains unfinished.